After a week-long road trip through the great state of Ohio, I’m convinced that I’d like to move there. 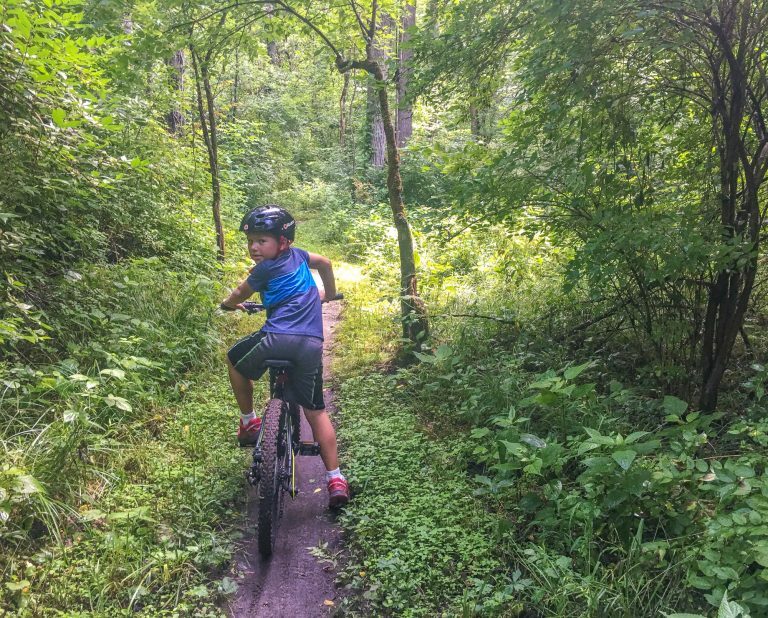 The opportunities to get outdoors with the kids and enjoy the natural beauty of Ohio are seemingly endless. 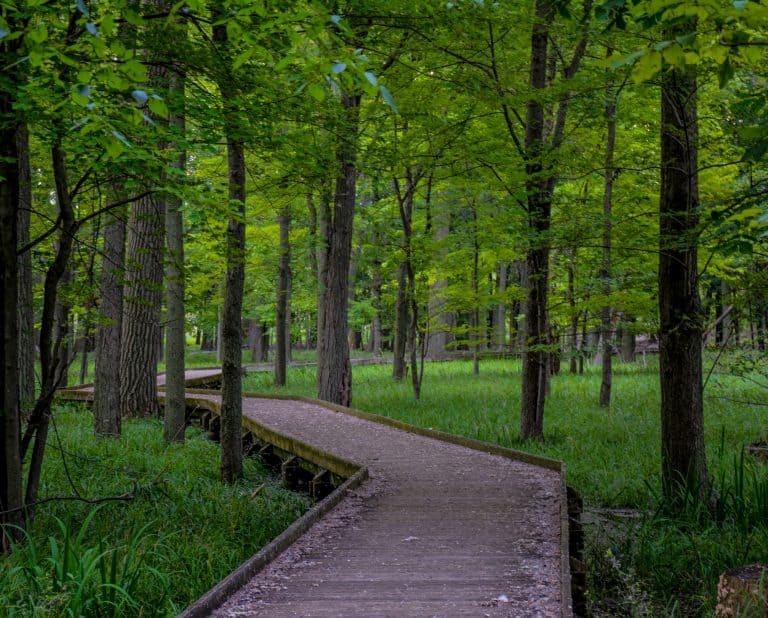 There are more than 60 state parks in Ohio! (That’s not even counting Ohio’s extensive network of regional Metroparks.) Eight of these state parks have classic lodges where families can stay overnight to enjoy biking, kayaking, hiking, and swimming. Midwestern families have so many options for Ohio weekend getaways at Ohio State Park Lodges. 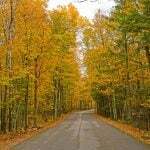 Ohio State Park Lodges also make great Ohio Road Trip stopovers for families too! I visited two of Ohio State Parks’ Lodges this June. With my son, I tramped through the woods playing Frisbee disc golf. The next day I struggled to keep up as he zoomed through the forest on a mountain biking trail. Later that week we bird watched on a quiet boardwalk trail by Lake Erie. Living in Maryland, I’m typically telling my son to watch out for snakes as he runs through the forest. However, I was happy to learn at an Ohio State Park nature center that Ohio has few venomous snakes and that those are limited to just the southeastern part of the state. Being that I am terrified of copperheads and rattlers, maybe it is time that I pack up and move the family to Ohio! Hueston Woods State Park is located just about an hour north of Cincinnati. It is surrounded by rural farmland. Centrally located in the park, Acton Lake is home to bald eagles and great blue heron with over 150 species of birds making the lake home or passing through in each year. 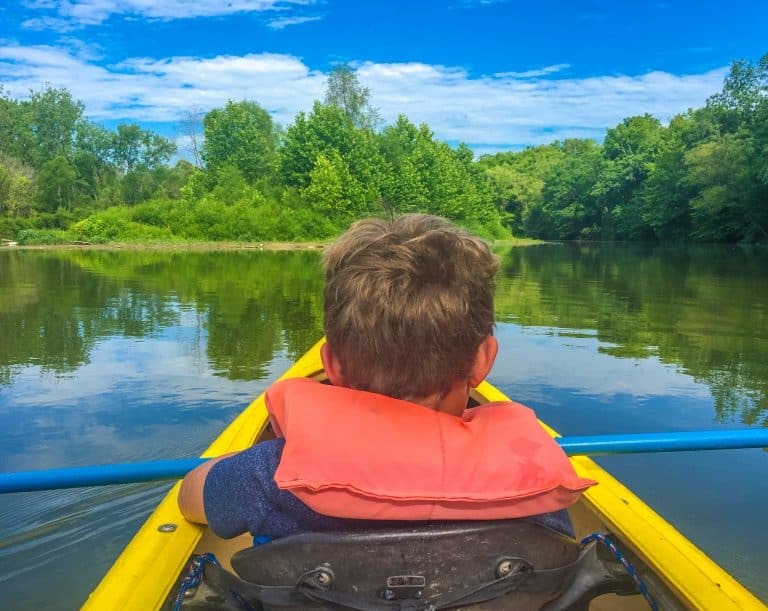 With opportunities for kayaking, fishing, boating, horseback riding, and hiking Hueston Woods is a very relaxing place for families to enjoy an Ohio weekend getaway. For those not interested in roughing it at a campsite, the Hueston Woods Lodge and Conference Center has 94 rooms. The lodge has a somewhat dated, rustic charm with moss covering the A-frame roof. 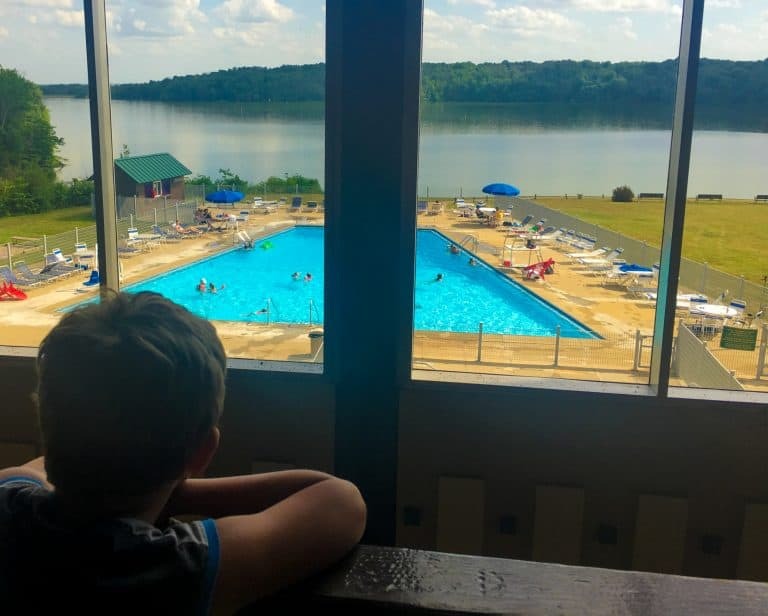 Upon check-in, kids cannot miss a view of the large outdoor pool overlooking Acton Lake; there’s also an indoor pool so the kids can still swim if the weather outside is cool or rainy. The lodge rooms are comfortable for families planning a short stay. 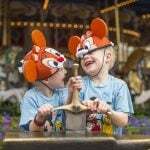 The lodge is ideal for families who just want to have time to play together. All sorts of sports equipment is available for check-out at the front desk. After hearing his options, my son eagerly made a list of must-do activities for our short stay from playing air-hockey and ping pong inside to exploring the Frisbee disc golf course in the woods. The disc golf course had us traipsing through the woods in search of the holes and fishing our Frisbees out of streams due to our poor aim, but it was one of those adventures that my son will be talking about for the rest of the summer. While my son loved the variety of activities available at the lodge, I loved sitting out on our balcony watching the birds fly over the lake and dining in the lodge’s restaurant. The food at Hueston Woods Lodge is quite good; it turns a family vacation into a true Ohio weekend getaway. I ordered a pasta with Cajun spiced chicken, vegetables, and an Alfredo sauce for dinner. The chicken was nicely spiced and the creamy sauce provided a perfect balance. I had just finished the last tasty bite of pasta when a waitress came by to convince me to try the bananas foster dessert. Now I don’t typically like bananas, and I was already stuffed from my fabulous dinner, but after several recommendations for the bananas foster I gave in and ordered it. It is one memorable dessert! 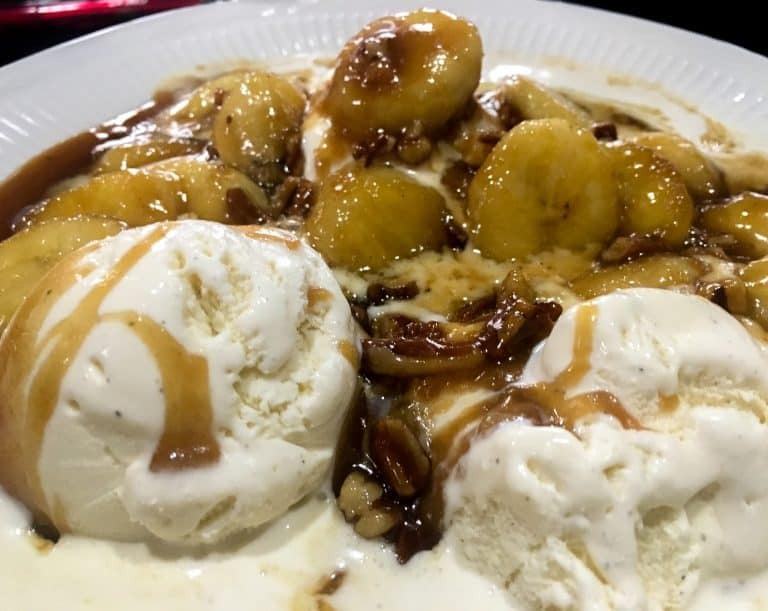 Long after I’ve forgotten our adventures in the woods, I will surely still remember the taste of the caramel sauce with toasted pecans poured over perfectly caramelized bananas and vanilla ice cream. Breakfast at the lodge did not disappoint either. There are lots of ways for families to enjoy nature outside the lodge. We rented a kayak and explored the creeks feeding into Acton Lake. Most of these creeks are quite shallow, which makes for quite the adventurous paddle. We didn’t spot a bald eagle. However, we did see lots of small birds, a few turtles, and a couple of great blue heron. Later that day we stopped by the visitor center for their raptors presentation. 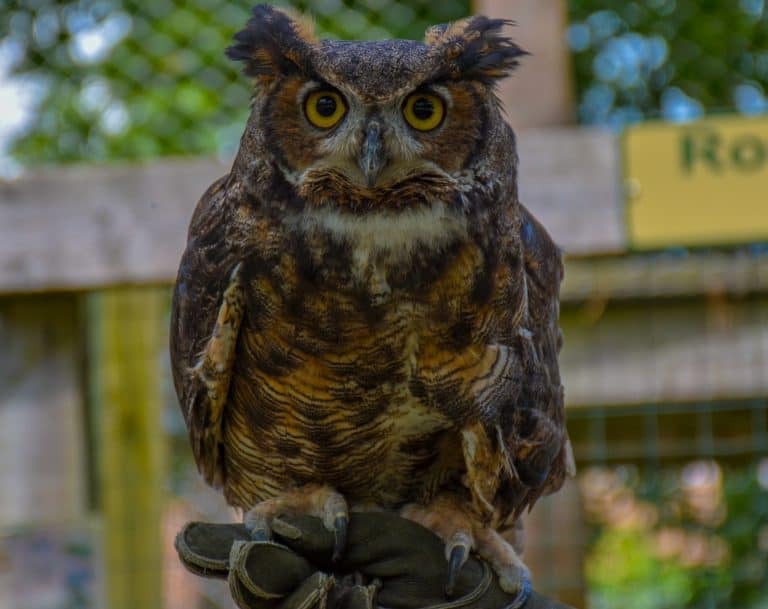 Behind the nature center there is a facility used to rehabilitate birds of prey that are injured in the local area. The ones that cannot be re-released are used for educational programs. We met a red tail hawk and a great horned owl. The highlight of our visit to the state park was trying out the extensive network of mountain biking trails. The miles of trails are well marked according to difficulty. We thought we might try the Blue Intermediate Level Trail, but quickly decided to stay on the Green Beginner Trail. The Green Trail passes over small rocks and tree roots; it also has hills of dirt created to make the ride just a bit more exciting. Hueston Woods is only an hour from Cincinnati! 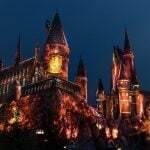 Check out Trekaroo’s Top 10 Things to Do in Cincinnati with Kids! Maumee Bay State Park is located just outside of the Toledo on the shores of Lake Erie. It’s also only an hour from Detroit, Michigan. To the east of the state park are several reserves for migrating birds along the marshlands and the lake. This part of Ohio is part of the Great Black Swamp, which I admit doesn’t sound too inviting. However, Maumee Bay State Park is truly a beautiful place full of wildlife. It even has sandy beaches where tots can play. Maumee Bay State Park is a relatively young state park, being acquired by the state in 1974. That also makes the Maumee Bay State Park Lodge much newer than most of the other Great Ohio Lodges. 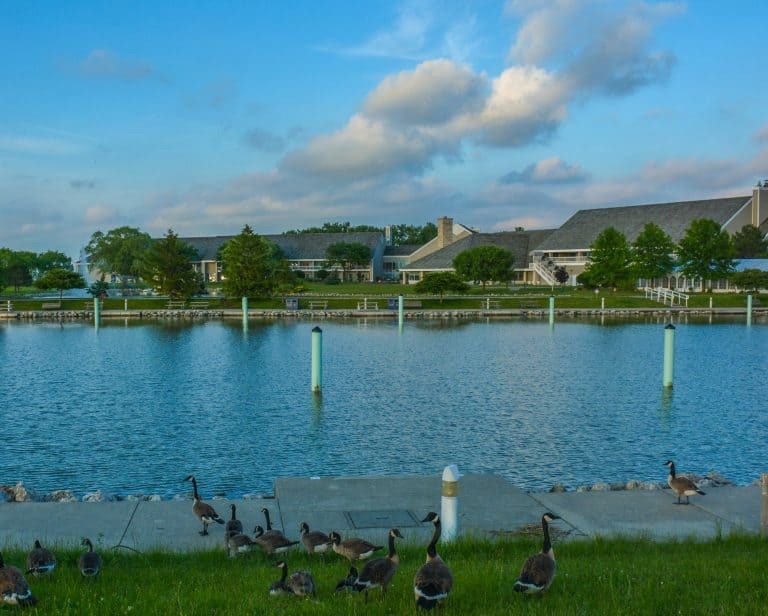 Maumee Bay is also a popular location for conferences because families can come along and spent their days at the lodge enjoying the children’s programming. 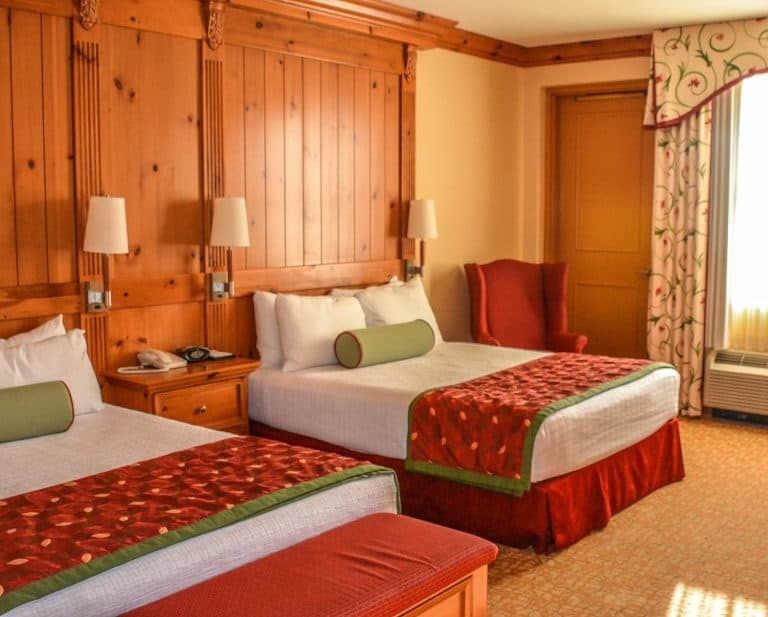 Traditional hotel rooms at the lodge and cottages are available. Our cottage (#8) could have easily accommodated two entire families! The cottage had one bedroom with a double/queen bed and another bedroom with bunk beds. My son squealed with delight upon seeing the bunk beds and quickly claimed the top bunk even though his sister was not traveling with us on this road trip. In addition, there was also a loft with three beds upstairs. Our cottage had one bathroom, a living space with a sofa and fireplace, a full kitchen, and a family-sized dining table. I would not qualify these cottage as luxury cottages, but they certainly are a step-up from most state park cabins that we have stayed at as a family. There was so much to love about our cottage! It overlooked the golf course and was only a few minutes’ walk from the nature center’s boardwalk nature trail through the marsh. Nearly every time we arrived at the cottage or looked out the window, we saw deer, rabbits, hawks, and groundhogs. There were multiple decks, including a screened patio, so that we could sit outside and watch the wildlife wander by. 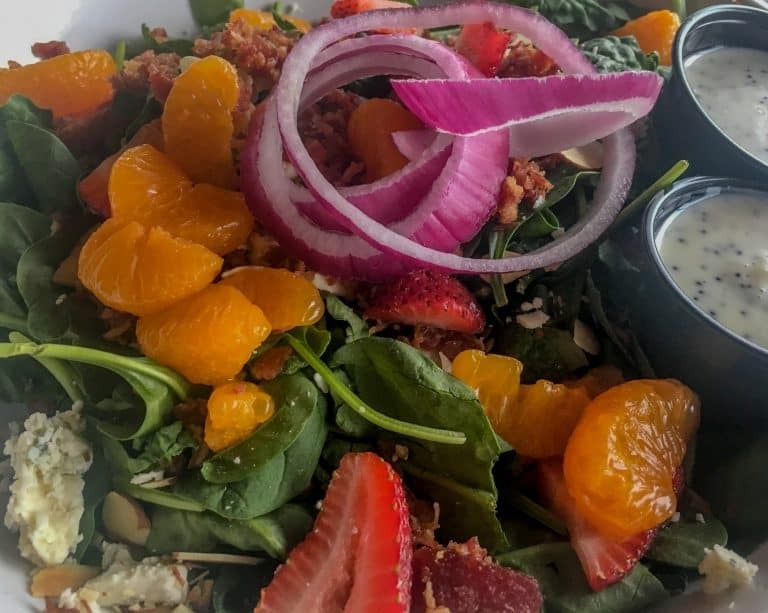 The food at the Maumee Bay State Park Lodge is top-notch as is the view of the bay from the restaurant’s large panoramic windows. After being on the road for more than ten days, I ordered salads for dinner both nights of our stay at the Lodge. Both salads were huge, having a nice mixture of greens, fruit, cheese, and croutons as appropriate. The real winner at the lodge’s restaurant is the freshly baked pretzel sticks with cheese sauce. 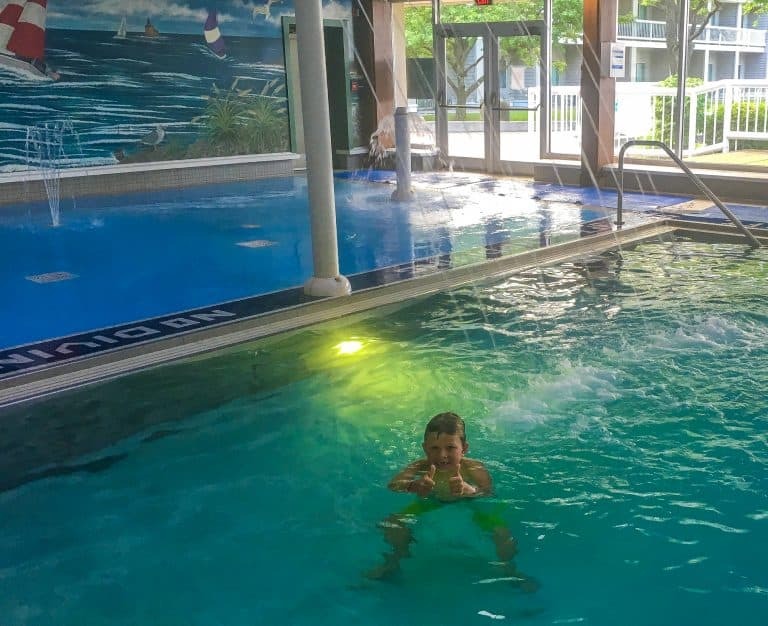 The facilities for families at the Maumee State Park Lodge are perfect for an Ohio weekend getaway! 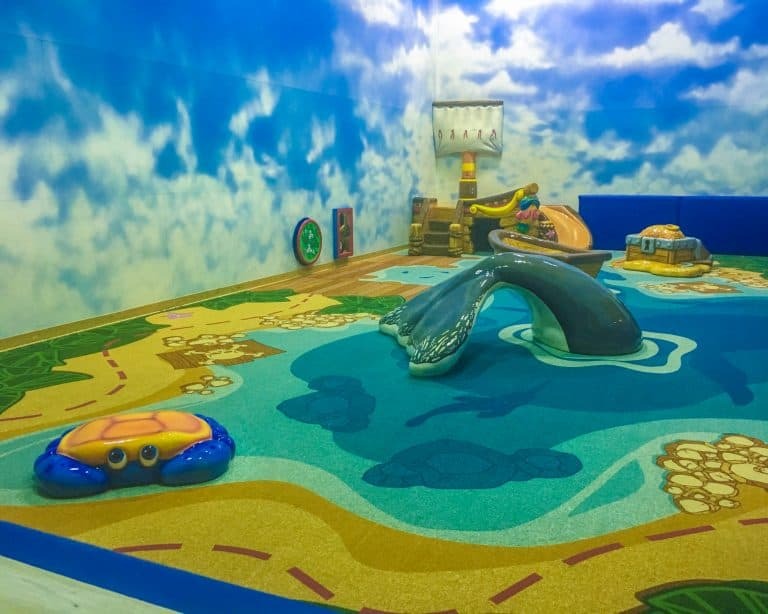 There is a soft, indoor, island-themed tot playground; it looks to be an amazing play area for the 5 and under crowd. Nearby the tot play area are two indoor sports courts for volleyball and racquetball; my 8-year-old son made sure that we gave those a try! Equipment is available at the front desk for both these indoor sports courts as well as basketball, horseshoes, and more outdoors. The indoor pool is especially inviting for families with a sea-themed mural and tot fountain splash pad. Families spent hours playing in the warm water of the pool. There is also an outdoor pool for hot days. A full program of children’s activities take place throughout the day. 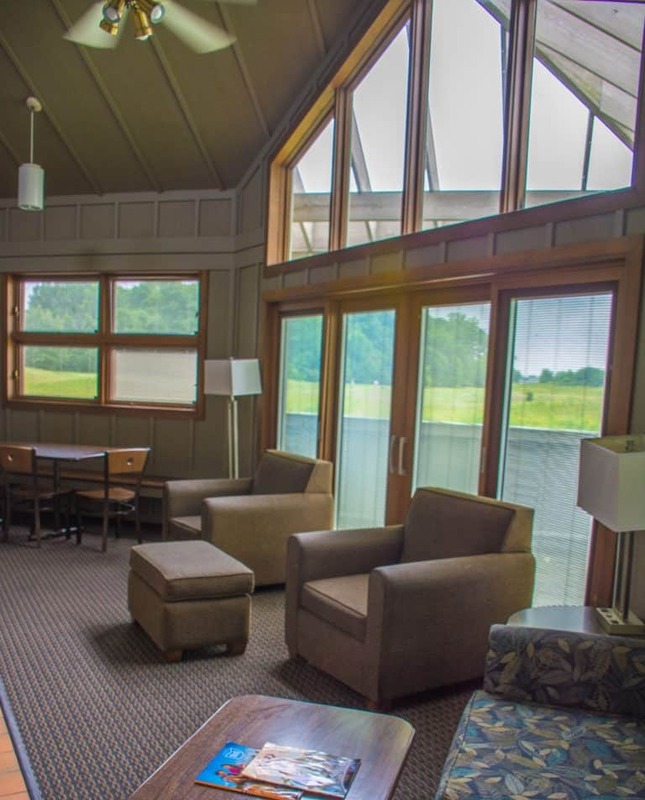 From arts and crafts to sports, kids can stay busy at Maumee State Park Lodge. We especially enjoyed the family movie night in the lobby. Popcorn is provided. Due to water conditions, weather and mayflies, few families were taking advantage of the beaches on the bay and lakes during our visit. However, weather was perfect for riding bikes. 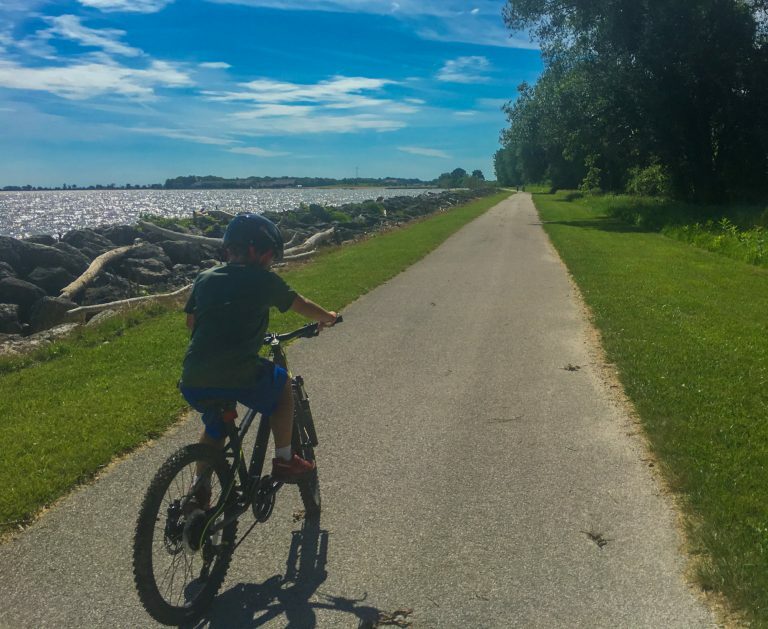 Maumee Bay State Park is a great place for a family bike ride as it is remarkably flat. Little ones will not tire too quickly. Bikes of various sizes are available to rent at the Lodge. We rode miles around the state park on our bikes checking out the camping and the beaches. The privacy of the campsites and friendliness of the campers really impressed me. On our bike ride, we also visited the Trautman Nature Center. The ranger at the nature center happily showed us many frogs and snakes. We also enjoyed the high quality interpretive exhibits in the nature center. Near the nature center there are many hiking trails. Oglebay Resort and Conference Center is located about ten miles from Ohio in the hills overlooking Wheeling, West Virginia. True, it’s not one of the Great Ohio State Park Lodges, but it is similar in family-friendliness and affordability. 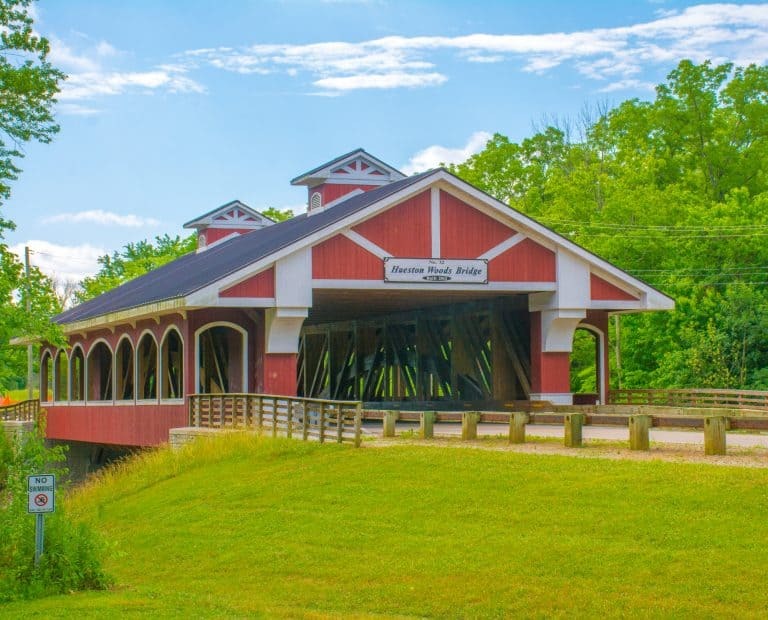 It really is a great kid-friendly Ohio weekend getaway destination being just minutes from southwestern Ohio, or a nice stopover on an I-70 road trip with the family. Oglebay Resort is also not a state park; it is actually part of a city park that was entrusted to the people of Wheeling, WV for outdoor recreation almost a hundred years ago. 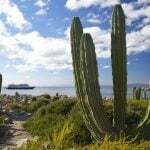 Since that time, the park and resort have continued to grow so that families in the region have a fun place to vacation and get outdoors to play together. 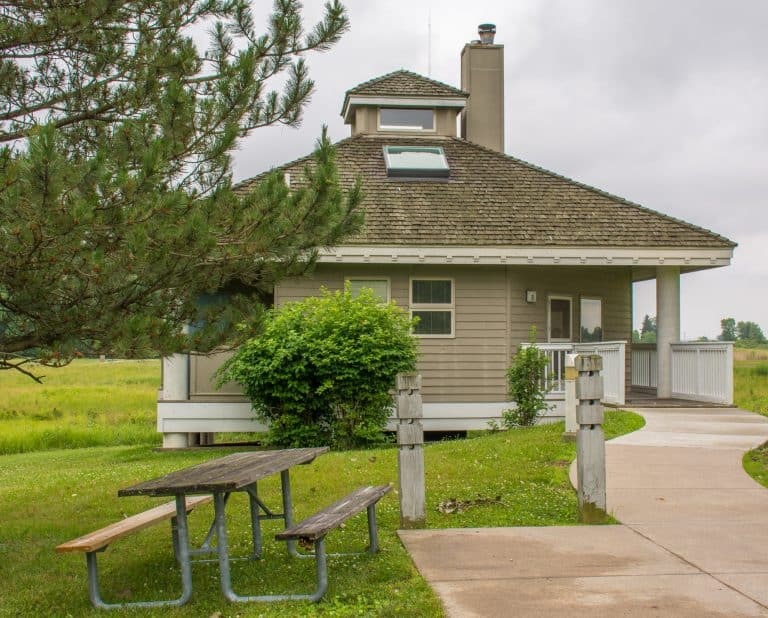 Like the Ohio State Park Lodges, Oglebay Resort has both a lodge with dining options and cabins to fit families of almost any size. Wilson Lodge offers 250 guest rooms in multiple buildings. Lakeview rooms have nice views over Oglebay’s small Schenk Lake. Depending on the season, the Ihlenfeld Dining room offers buffet or a la carte service. If you are fortunate, to visit during a busy season when the breakfast buffet is offered, be sure to try the amazing sticky buns! The outdoor activities at Oglebay change with the seasons. 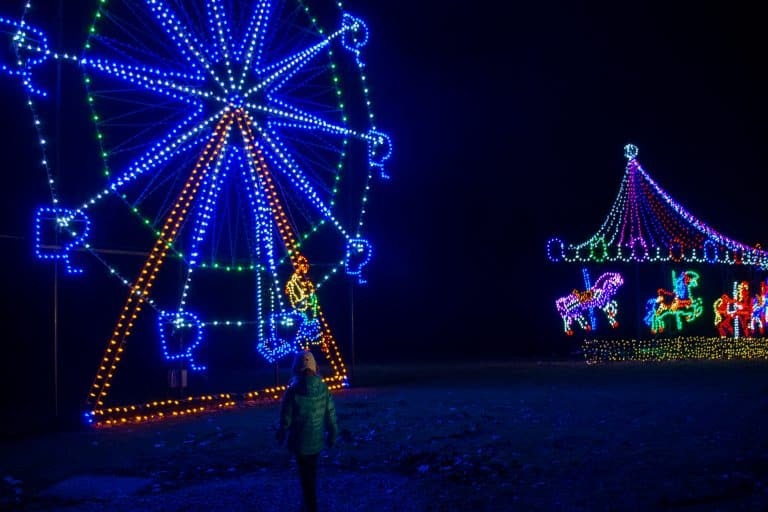 The Oglebay Festival of Lights is a must-do for West Virginia and Pittsburgh families during the Christmas season. If the resort receives ample snow in the winter, Oglebay operates a small ski slope and sledding hill. In the summer months, families can enjoy mini golf, an outdoor pool complete with fountains and splash features, beginner and intermediate mountain biking trails, and an aerial challenge course. One unique feature the Oglebay has is the Oglebay Good Zoo, a fully accredited zoo with year-round family programming. 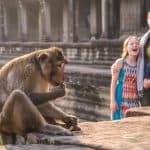 The Oglebay Good Zoo makes an obvious effort to put education as a top priority; they also participate in many breeding programs to maintain species diversity worldwide. Part of this educational effort are special animal encounters with a zookeeper. 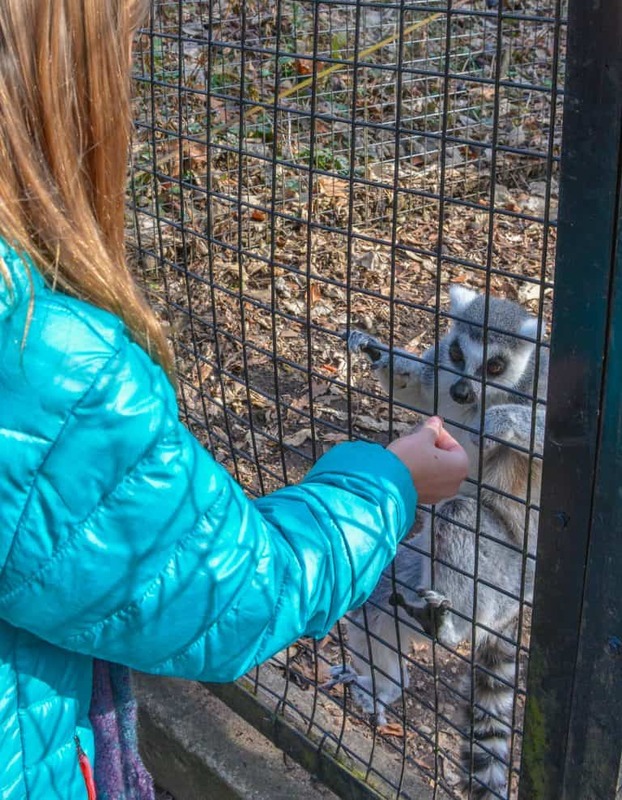 My daughter had the opportunity to feed both red pandas and lemurs on a visit to the Ogelbay Good Zoo one December; now she’s even more interested in pursuing a career with animals in the future. Disclosure: The author was hosted by the Hueston Woods State Park Lodge, Maumee Bay State Park Lodge, and Oglebay Resort. All opinions are her own.